Oh, your calendar for next year is flat? 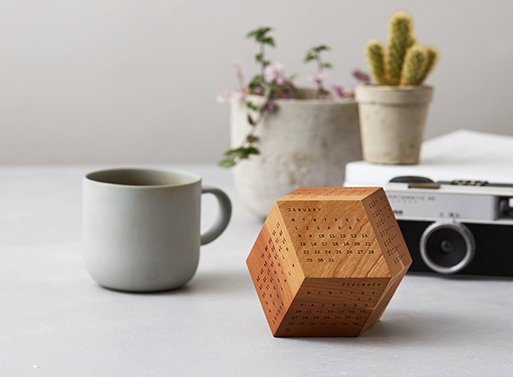 Huh, mine is a wooden polyhedra with each month laser-engraved on its sides. See, you turn it around every which way to view the desired month, so it’s sort of a fun-and-functional desktop object. Hmm? Yes, of course, you can have one too.